I've been loving a whole bunch of new makeup and skin stuff lately, so I wanted to share 5 standout products from the month of April. Mother's day is around the corner, so what better time to pamper a lady in your life with an afternoon in Downtown Toronto? 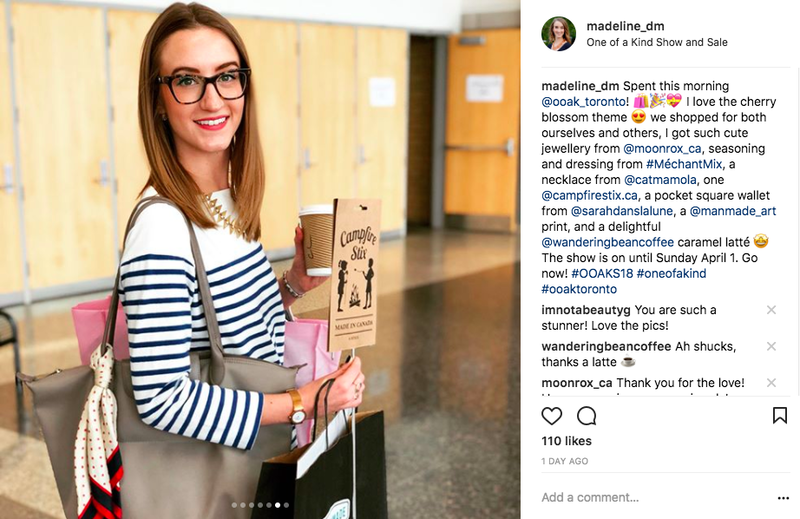 My best idea this year is giving your mom a $75-$100 gift card to Hudson's Bay and booking an appointment with Maggie at their Wacoal boutique to get your mom/wife/lady a proper bra fitting by a brand that caters to every woman, of every figure. Time to run through another batch of products I've used up recently. My last post was almost exactly 1 year ago, (read it here) and this is definitely not everything I've run through. I'm partial to bringing items to Joseph's place when they're half-done and using them there, or bringing items on vacation to leave in the room even if there's product left. Here are some notable empties that I have on hand and want to share. You know it's going to be a good day when a courier arrives with almond macarons, a luscious body balm, and the biggest bouquet of fresh flowers. Talk about being pampered. My amazing friends at L'Occitane know me well, and I feel like their new Delightful Body Balm was made especially for me. 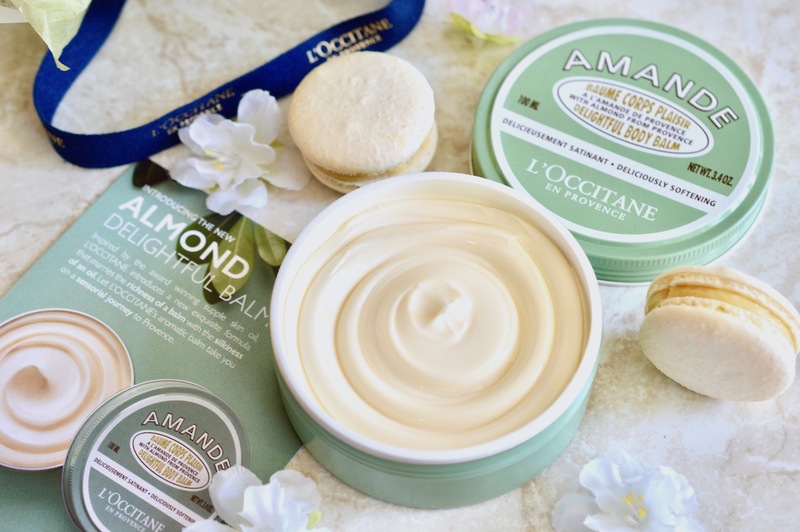 Not only is it in my favourite sweet almond floral fragrance, it feels like silk and makes my skin runway-ready. Headaches plague us all at some point, and popping pills is not the route I want to go down to fix them. There's always an underlying cause when I get headaches, whether that's dehydration, caffeine, stress, changes in air pressure, or even a too-tight ponytail! Rocky Mountain Soap Company is a great Canadian brand that has released new aromatherapy products within their Wellness Collection to help you relax and alleviate headaches - naturally. With a more active lifestyle comes more active sweat glands, so needless to say I've been testing a few deodorants. For years I've been loyal to Dove and Nivea, but they really weren't pulling their weight on my sweatiest of days. For the FASHION Magazine Beauty Awards one of the products I tested (and reviewed VERY highly) is Kaia Naturals' Detox Kit. See why below. I have always had a strong affinity to Revlon makeup, ever since my days of ballet recitals feeling mega fab in Super Lustrous red. In 2013 I got an email to join the Revlon Selects program, my first "big break" in the blogging world ;) and I've been a loyal reviewer since then. From their whipped foundation (sadly discontinued) to their iconic Butter Lipstick (one of the first lip products I used up completely! ), I always keep their iconic products at my vanity. Hello, Colorstay foundation and Coral Cream Blush. See more of my previous Revlon reviews here: Bold Lacquer mascara, Nail Strips, Shadow Links. As much as I want to be a morning person, it just doesn't happen most days. This means that I need to maximize my time and get stuff ticked off the to-do during my commute. I keep a small makeup bag in my handbag which holds everything I need to do a quick, fresh face of makeup. Watch the tutorial below. Today I wanted to spill my handbag to show you what I tote around on a daily basis. Here's a list, and you can watch my video below for more info. Over March Break this year Joseph and I visited Cayo Coco Cuba for one week. We had a really great time at the Iberostar Mojito, and I realized upon returning home that I had actually stayed at the resort 14 years ago when it was called "El Senador". We had lovely weather overall, around 24 degrees and a bit windy/cloudy some days. It was Joseph's first time in the Caribbean and we did lots of fun activities both on and off the resort. Sponsored by BodyBoss but all opinions are my own. "Mind over matter" is all too applicable when I'm struggling to maintain my healthy diet and workout routine. It's simple: I need help keeping my food and exercise routines fun so that I don't get bored. This year, I've seriously succeeded in transforming my approach to healthy living. The BodyBoss Ultimate Body Fitness Guide & Superfood Nutrition Guide are #goals, perfectly embodying my ideal diet and fitness routines that you can start right now, and maintain for years to come. After returning from my hot getaway in Cuba, my skin was so dry and irritated from the salt water, sand, heat and sunscreen. I really needed something that would soothe and repair - quick. 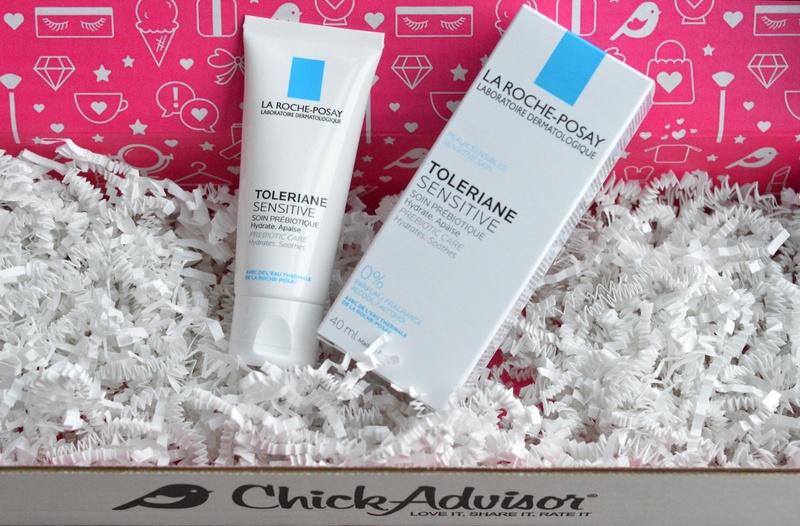 The La Roche-Posay Toleriane Sensitive Hydrating Care moisturizer is outstanding. It was just what I needed, and works wonderfully under makeup. If you suffer from flaking, irritation, redness or dry skin and breakouts, keep reading. I've been shopping quite a bit over the past few weeks, and wanted to share a few of my top buys. These items are all unique and definitely not overly basic, so I hope they inspire you as well.